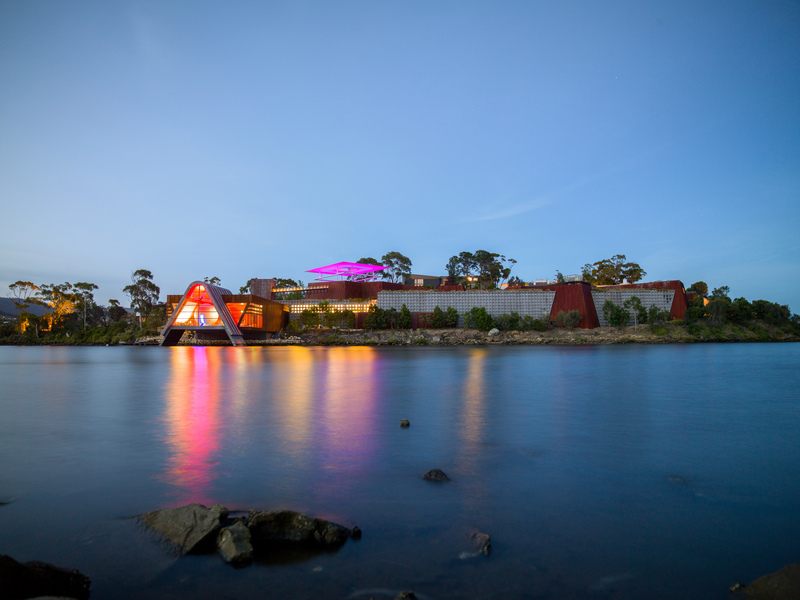 Mona, the Museum of Old and New Art in Hobart, is the largest private museum in Australia, with a collection ranging from antiquities through Australian modernism to contemporary international art. Its owner is Tasmanian-born David Walsh, who, in sharing his collection with the public and through an ambitious exhibition and publication program, seeks to challenge conventional approaches to art, to received wisdom and to the intersections between culture and biology. Mona is an experiment: questioning, unpredictable, and fun. When the museum opened in 2011, it was almost entirely subterranean, a structure you could hardly see until you were in it. There was one tunnel. All that has changed in 2018. The tunnels have multiplied, are longer, layered, turn corners; and are not yet finished. The underground interior has expanded and erupted, upward and outward, into the light. Jane Clark, Senior Research Curator at Mona since 2007, has taken a lead role in the display, collection development, publications and content management team. From the early collecting days of this extraordinary museum to the latest exhibitions, she presents an overview of a ground-breaking (quite literally) visual art experience.